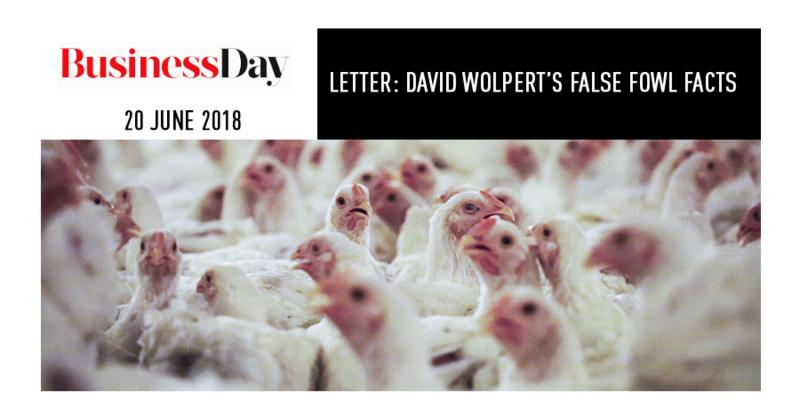 David Wolpert (Chicken imports no threat, June 15) is up to his old tricks again, arguing on the basis of a false premise and selective facts. The importer’s premise this time is that the local chicken industry is flourishing and therefore cannot be under threat from imports. For this he cites the recent good interim results of Astral, the country’s largest chicken producer. 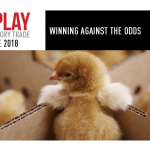 He does not quote, from the same results, Astral’s 2018 outlook for “continued high levels of poultry imports, especially from the USA and Brazil, equivalent to over 40% of local production”. 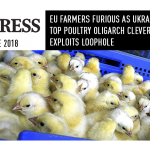 He does not mention that the Astral presentation cited its 2017 warning that a “continued high level of poultry imports, with weak tariff protection, has allowed foreign produced poultry to become entrenched in the local market, leading to a contraction in production”. The industry is shrinking, thousands of jobs are being lost, imports are heading towards half of the local market, but Wolpert and his fellow importers say imports are no threat. And then he talks about “fake news”. Wolpert should turn his attention to the potential health hazards of the imported meats he and his friends are bringing into this country. A few months ago the EU banned imports from 20 Brazilian meat plants because they were unhappy with Brazilian safety procedures. Do Wolpert and his friends import from those same Brazilian plants? Do they test the imports, or the producing plants, for possible contaminants, including listeria? If the EU feels these products are not safe for their consumers, why should Wolpert’s band of importers be happy to foist them on unsuspecting South Africans?